WHO: The Elizabeth Ann Seton Board is a volunteer fundraising board dedicated to raising awareness and funds to support the mission of The Seton Healthcare Family. EASB is sponsored by The Seton Fund. 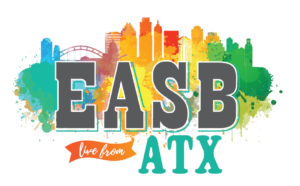 WHY: The members of EASB support the Marialice Shivers Regional Neonatal Intensive Care unit (NICU) and mother/baby services at Seton Medical Center Austin through the board’s annual fundraising gala each Spring. HOW: The EASB iconic outdoor fundraising gala event that includes live music, a casual dinner, and fabulous live and silent auctions. Funds raised from the 2016, 2017 and 2018 galas have provided almost $3 million in vital equipment and building needs including new incubators and warmers for both NICU and Labor & Delivery. The 2018 gala also funded a new support program for NICU families. There is still a great need to provide the SMCA Labor & Delivery and NICU teams the best resources and environment to care for the smallest members in our community and their families. Focusing on the NICU and mother/baby services at Seton Medical Center Austin continues to be a perfect fit for EASB!